Home | Chemical Ingredients | The Science of Sulfates: Is SLS harmful? The Science of Sulfates: Is SLS harmful? So, What's The Deal With Sulfates? 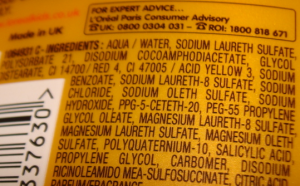 Many people avoid product bottles listing Sodium Lauryl/Laureth Sulfate because they heard through the grapevine that such ingredients are harmful. These customers are primarily wary of the myth that sulfates cause cancer. However, there is no evidence or conclusive experimentation to back up the claim. 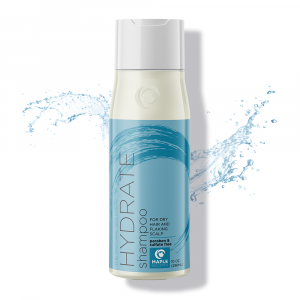 Additionally, many sulfate-free shampoos use this as a promotional tactic for health-conscious customers to purchase their product instead. Here’s the truth: there is no link between sulfates and cancer. So, What’s The Deal With Sulfates? Sulfates are, indeed, skin and eye irritants. Unless they are included in a formula which promotes moisture control, sulfates can strip the natural oils from your hair. Using shampoos that offer no health benefits and use sulfates as their primary foaming agent can be worse than using no shampoo at all. Yet, there are many shampoos which yield health benefits that override any negative effects this detergent can have on the scalp. For example, Degrease and Hydrate Shampoos from Maple Holistics are two moisture control shampoos. 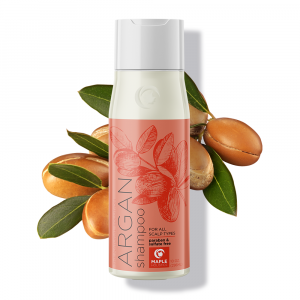 These products work by balancing the sebum secretion levels in the necessary direction to produce a healthy amount of natural oils for your hair. Take care of your hair so it can take care of you. 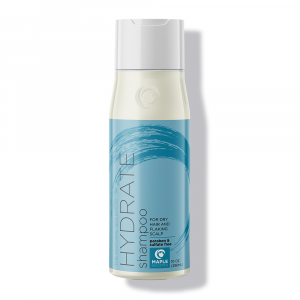 Countless other shampoos boasting effective actives use sulfates as their foaming agents. This isn’t all bad… In fact, the alternatives are rated much more harmful. SLS meets its foremost competition with the widespread use of parabens in shampoos and other beauty products. Whereas there is no concrete proof linking sulfates to cancer, parabens have been found in breast cancer tumors. 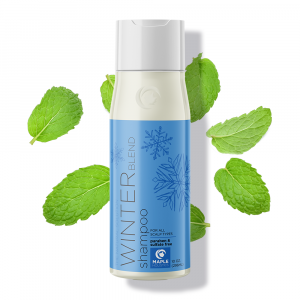 Many shampoos utilize parabens and sulfates for their easy compatibility with other synthetic ingredients. However, these compounds pose some of the largest health hazards in the cosmetic industry. Sodium Methylparaben, a common paraben, poses health hazards such as sterility, breast cancer, and skin damage. These pervasive chemicals are rated between 7 and 9 out of 10 on the danger scale created by Skin Deep. Next time you wash those fine locks, reconsider what you use to do so. You won’t be satisfied by moldy bread. Your hair similarly needs the nourishment and health care you provide for the rest of your body. Give your hair the love it needs to thrive! Cleansers and beauty products often contain sulfates. The first step is always awareness, right? Once you realize the impact of sulfates, you will see them invading every region of your self-care routine. If you do a quick investigation you will probably see that sulfates are in most of your bathroom products. 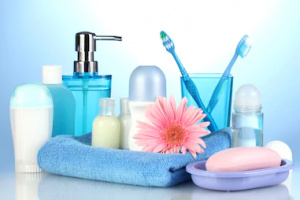 Shampoo, toothpaste, and lotions, for example, all have varying degrees of sulfates in their ingredients. Used as a foaming agent, sulfates are likely to be found in anything that foams. But no need to fear! The scientific community has not found conclusive evidence that sulfates are dangerous for us. Even if they are everywhere, there’s no real reason to clear your cabinet and opt for bad breath. It could be like how water is in most fruits and veggies, which is not a bad thing at all! Additionally, many companies use a form of sulfate that is extracted from plants. This natural version has milder effects and can potentially be healthier for you. Most organic shampoos use this variety of sulfate, such as Maple Holistics’ Botanical Therapy Shampoo. Although their ads encourage customers to make a #hairstatement, they aren’t really making a #healthstatement. Following water, the second ingredient in TRESemmé shampoo is good ol’ Sodium Laureth Sulfate. This doesn’t necessarily mean that if you “work it” as this company encourages you to, your health will flop. I aim only to raise awareness of the pervasiveness of this ingredient. If it works for you, don’t necessarily abandon this mean to get those flawless curls. L’Oreal Shampoo for Kids contains sulfates. This company loves to talk about its sulfate-free products, but this doesn’t always walk the walk. Just because they provide sulfate-free options doesn’t mean everything from L’Oreal is sulfate-free. 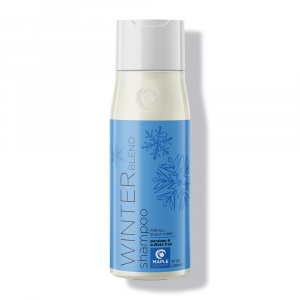 In fact, their Professionnel Série Expert Silver Shampoo, which sounds all fancy, uses Sodium Laureth Sulfate as its second ingredient, also following water. Yes, our company uses sulfates in some of our products. Again, this isn’t bad. Instead of using SLS, we use the natural, mild, low-concern sulfates, such as Sodium Lauryl Glucoside Carboxylate. This emulsifying sugar is produced from naturally-occurring raw materials through naturally-occurring processes. 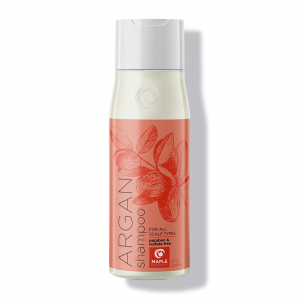 For example, our Cedarwood Anti-dandruff Shampoo contains this safe sulfate to stabilize the shampoo. This cruelty-free product yields 100% customer satisfaction. It’s the best of all worlds: health, beauty, environment, humaneness. Get high reward with low risk. Check your hair care products for sulfates to be aware of what you put in and on your body. Choose cleansers that keep your body happy and healthy! Your shampoo choice is extremely important. 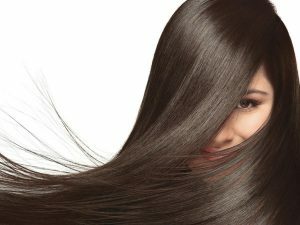 Shampoos determine your hair health. Whether you use a shampoo with SLS or not, the top priority is to find a shampoo that works with your hair type. Love your unique hair type, and find the shampoos that best let it shine! If you are having issues with oily hair you wouldn’t want to use curly hair shampoo. Specific types of shampoos focus on moisturizing effects, which would make oily hair even oilier. Similarly, if your scalp is prone to irritation, be aware of the types of sulfates in your shampoo. Instead of falling for the mass misconceptions, educate yourself about the different kinds of shampoos on the market. Your hair is an extension of who you are, so treat it with the care it deserves. Using a safe shampoo for your hair should be of utmost importance. Thanks for stopping by! Check out our healthy, organic shampoos here at Maple Holistics! Sulfates are everywhere. They affect everyone differently. They are certainly not as dangerous as their bad rap makes them seem. SLS is an ingredient like any other, providing a useful function in these products. An allergic reaction to SLS is no different than an allergic reaction to any other ingredient. Educate yourself about the pros and cons of each ingredient in your shampoo. Decide for yourself if your shampoo contributes to your scalp health. Once you make your educated decision, you can avoid all of the floating myths and misconceptions about this detergent.